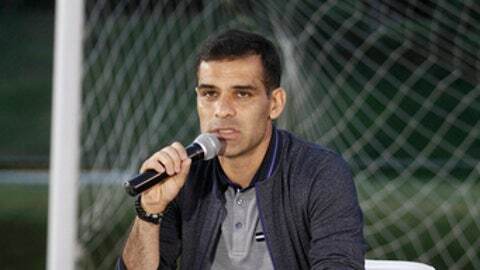 MEXICO CITY (AP) Mexico’s national soccer team and club Atlas have issued cautious statements backing embattled star Rafael Marquez but also apparently distancing themselves somewhat after he was among 22 people sanctioned by the U.S. government for alleged drug trafficking ties. Atlas calls Marquez an ”exemplary” player and wishes him well. It says it hopes for ”a resolution that allows our captain to rejoin the team,” but does not give further details. Marquez did not practice with the club for a second straight day Thursday. The 38-year-old is a former defender for Barcelona and New York Red Bulls. On Wednesday he denied having any drug ties.